Mr. and Mrs. Brandenburg of Paulden, Arizona visited their timeshare every year. While they enjoyed their vacations, they found that the extremely high costs of their timeshare fees just didn’t make sense. While buying a timeshare may seem like a great idea at the time, most folks find that the fees and restrictions become a burden and a hindrance on their vacation options. The Brandenburgs tried other companies who promised to get them out of their timeshare, but all failed to live up to their promises. 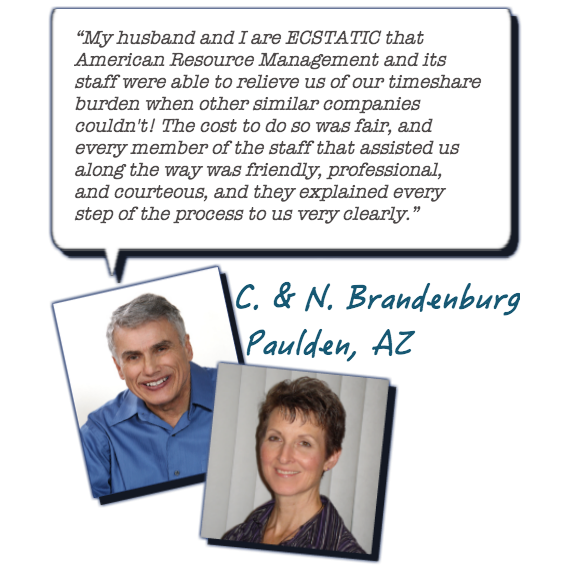 By the time they found the Timeshare Redemption program at American Resource Management Group, they were more than ready for a solution to their timeshare problems. The Brandenburgs told us that they were so happy with our successful efforts to rid them of their timeshare, they’d certainly recommend our Timeshare Redemption services to their friends who also want out of their timeshares. 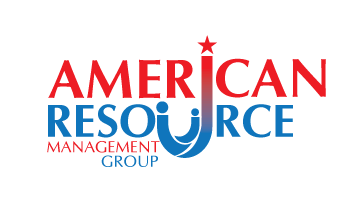 American Resource Management Group takes great pride in the fact that a high percentage of our new customers find us by the great “word-of-mouth” advertising we receive from our many satisfied clients! Click To Become Timeshare Free! Having gotten out of their timeshare obligations, the Brandenburgs are now out from under the inordinate fees, assessments and taxes that made timeshare ownership unreasonable. They can now travel on their own schedule and enjoy the many vacation specials and travel deals offered on the Internet, rather than be tied to only what was allowed through their timeshare plan. If you’re like Mr. and Mrs. Brandenburg, you’re likely tired of the false promises and run-around you’ve gotten from other companies that promise to get you out of a timeshare contract, but just take your money instead. Stop searching in vain for a solution and choose a company that GUARANTEES a true, final timeshare cancellation solution. American Resource Management Group will assign you a dedicated case manager, who will keep you updated regularly throughout the Timeshare Redemption progress, so that you aren’t left wondering what stage your timeshare cancellation process is at. Respect, communication and promises kept…that’s what you can expect from ARMG! We are NOT a property listing company and we do NOT offer timeshare rental listings.